With the launch of the free-to-play smartphone title Shin Megami Tensei Liberation Dx2 in the west, Atlus seeks to capitalize on the growing fan base of one of their most popular franchises with a quality mobile game that takes the demon fighting and breeding experience with fans on the go. As one can imagine, this brings with it a lot of expectations from a series that is beloved by so many. With that in mind, we had the chance to conduct an interview via email with chief producer Yamada Riichiro, who also worked on the "Panzer Dragoon" and "Let's Make a Soccer Team!" series in the past for the company. We would like to thank Sega and the team at Path Advisors who approached us with this opportunity. RPG Site: Since the west has missed out on a ton of mobile titles from Atlus, what motivated you to localize Shin Megami Tensei Dx2? Yamada Riichiro: I knew that the SMT series had many fans in the world. Therefore, when we started to develop the game, our objective was always to release the game outside Japan. RPG Site: How has the reception been to the game thus far in Japan? Yamada Riichiro: After 6 months, I’m proud to confirm the game has been downloaded more than 5 million times in Japan already! Reviews are high as well. We are currently running a half year anniversary campaign and the response from players has been great! RPG Site: How would you describe the style of game Shin Megami Tensei Liberation Dx2? 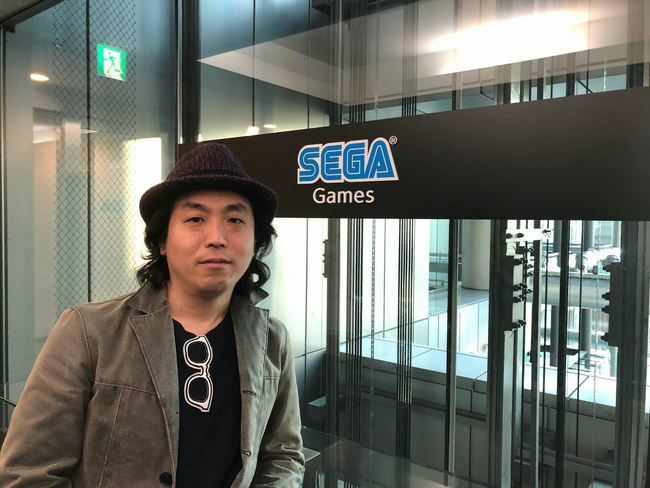 Yamada Riichiro: Our main concept since the early stage of development was and still is to be able to “play SHIN MEGAMI TENSEI on your smartphone as if it was a console game.” I think we achieved this. RPG Site: Talk to me a little bit about the challenges you faced making Shin Megami Tensei Liberation Dx2. Yamada Riichiro: We faced many challenges while making each SMT element suitable for a F2P model. If you want to keep the soul of the SMT universe, but make sure your game makes sense on mobile devices, you have to balance the game right. We spent a very significant time doing this. RPG Site: Is Shin Megami Tensei Liberation Dx2 considered canon with the main series? Yamada Riichiro: It may be more appropriate to consider it as a derivative series of the SMT series. For example, the Persona or Devil Summer series. RPG Site: What inspired the UI design for Dx2? It's one of the most stylish and slick out there, even in comparison to console games. Yamada Riichiro: I think the artists on my team absolutely wanted to create a high-quality UI that at least equals ATLUS’ experience. That said, we were influenced by past episodes as well as in Persona 5. However, we kept in mind that we needed to make it compatible and suitable for smartphone devices. I think my team did a very good job balancing UI and creative. RPG Site: Have you considered implementing more social features like guilds? Yamada Riichiro: At the beginning, it was designed as a solo RPG type of game, therefore there weren’t many social elements. After almost half a year since the game launched in Japan, we found out that users were seeking more community-like functions, so we are planning to implement these features. This function will be added in the near future in the English version as well. RPG Site: One of the more interesting features is the ability for users to leave reviews on demons. Tell me more about how you came up with this idea. Yamada Riichiro: In the previous title that I worked on, there was a bulletin board where users constantly posted units evaluation, and this was very helpful for us. Therefore, I thought “Why not implement that system in-game?” So we made it happen. Fans constantly engage so I’m very happy with this. RPG Site: Shin Megami Tensei V is currently in the works. Are there any plans to incorporate any changes or demons into the mobile game in some capacity, or do you plan on keeping things separate? What are some of the things you learned and plan on changing as a result of the beta? For example, the gacha and mag collection rates have been brought up. Yamada Riichiro: Following the Consumer Beta Test, we have been focusing on tutorial improvement and the Aura Gate evolution. For Aura Gate, this is no longer time-limited and the amount of magnetite obtained will also increase. Regarding Gacha rate, changes will be made after the increase of demons are implemented. RPG Site: There's been some talk from Japanese players about the lack of events. Do you plan to refocus your efforts after the global release? Yamada Riichiro: In general, when we describe in-game events here in Japan, we refer to it as “events where users can obtain exclusive characters,” and this includes gacha monetization. As of right now, we are not thinking of doing these kinds of events frequently. However, I want to avoid the idea of “there is nothing that the user can do,” so I’m considering some countermeasures. RPG Site: Do you plan on making any changes to the Aura Gate battle system, which requires you to be available at a certain time to participate? Yamada Riichiro: As mentioned above, we will change this by making separate stamina and no time restriction to play this. RPG Site: Are there plans to allow users the ability to interact more directly with the demons? Not so much a Social Link system, but something closer to Devil Summoner 2? Yamada Riichiro: I have some ideas, but sorry, I can’t tell you more as it’s still undecided.